– Portland Parks and Recreation commissioner Amanda Fritz explaining why she accepted Under Armour’s offer to pay for/sponsor new soccer fields in two city parks despite loud complaints from Nike and even objections by Portland mayor Charlie Hales. Stephen Hawking says hostile ETs will be invading Earth soon. Proof of upcoming alien attack. Stair Laps as training for HS XC Runners? Is Joaquin really going to be that bad? There are lots of things to pay attention to as the calendar has turned to October. #1 New Mexico will run at the Notre Dame Invite on Friday against three other ranked teams while CU opens the season at the Rocky Mountain Shootout on Saturday. Friday’s Washington Invitational (Stanford and Oregon are both in the field) and Saturday’s Greater Louisville Classic (Wisconsin, Iona, Michigan, Ole Miss, Iowa St.) highlight the rest of the weekend’s action. How will stars like Molly Seidel and the Rosa brothers look in their first tests of 2015? How will super frosh Anna Rohrer, Ryen Frazier, Matthew Maton, Tanner Anderson and Jonah Koech do? 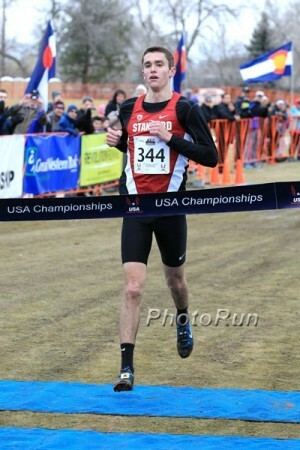 *MB: Official 10/2-10/3 Weekend NCAA XC Talk – Notre Dame, Paul Short, UW, Rocky Mountain, etc. 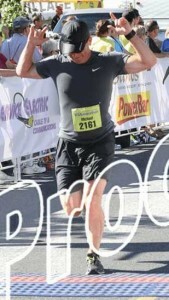 Marathoner Stephen Shay Is Living The Dream, Living In A Vintage 1960s Motor Home And Training For The Olympic Trials Shay spends most nights sleeping in various LA beach towns, living the life of a beach bum – except he runs 90 miles a week. 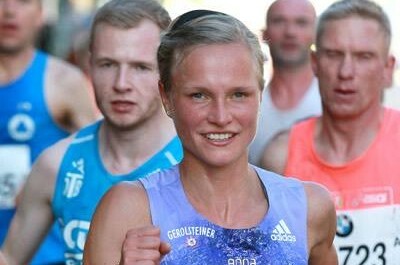 Lizzie Lee Becomes 5th-Fastest Irish Woman Ever After Running 2:32:51 In Berlin The 35-year-old took more than five minutes off her PR after taking time off last year to give birth. In Honor Of Eliud Kipchoge, SPIKES Looks At Some Famous Instances Where Athletes Decided To Forgo Shoes Altogether And Go Barefoot Includes video of a decathlete trying and failing to HJ barefoot. Elite Field Announced For This Weekend’s Cardiff Half Marathon / UK Half Champs Kenya’s Boniface Kongin (62:02) defends his title while Merci Jemutai-Tanui (68:42) leads women’s race. 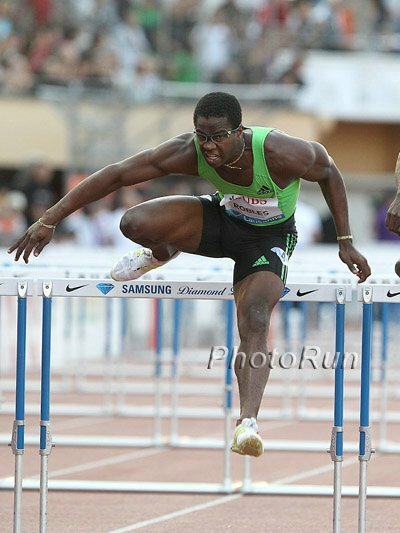 Former Olympic 110H Champion Dayron Robles Could Return To Compete For Cuba There has been a long standing feud between Robles and the Cuban federation. IAAF Personal Bests Q&A With Canada’s World HJ Champion Derek Drouin Drouin says he still regrets not listening to his instincts and taking a third attempt at a bar which caused him to fracture his foot back in 2011. Apparently There Was A Bit Of A Dispute Between US And Jamaican Sprinters In Beijing During Worlds A JAAA media officer says the Americans complained about Jamaicans celebrating too loud and refused to drink Gatorade that had Usain Bolt‘s picture printed on it. Recommended Read: Washington Post: “Running For Their Lives, Ethiopians Seek A Safer Track In Washington DC” Article follows story of Ethiopian refugees such as 18-year-old 400 NR holder Genet Lire, who used running as a means to escape political persecution in Ethiopia. They left behind their families and promising running careers to avoid jail and torture and now are struggling to survive in the US. Q&A With World 800 Silver Medalist Melissa Bishop Bishop says that adrenaline got her through the rounds in Beijing as she could barely sleep after breaking the Canadian NR in the semifinal. Flashback To The 1996 Atlanta Games 200: “Michael Johnson, The Olympic Sprinter With An Inner Greek God” Today Johnson is known more for his still-standing 400 mark, but in this race he ran 19.32 to dominate the rest of the world in a new WR. Jamaican-Trained British Sprinter Delano Williams Keeping His Options Over After A Season Of Injuries Forced Him Into The 400 His preferred event is the 200, but he missed the British Trials and ended up running on their bronze medal winning 4 x 400 at Worlds. IAAF Profile On World Heptathlon 8th Placer Nadine Visser The 20-year-old World Junior bronze medalist was thrilled with her transition to the senior ranks in 2015. 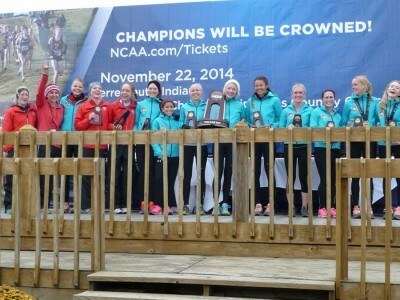 LRC 2015 NCAA Women’s Individual Top 10 Preview: Who Takes Over For Kate Avery? With no Kate Avery, the championship picture is wide open. Sunday: Edna Kiplagat Leads Field For Great Scottish Run Half Against Caroline Kilel And Brits Gemma Steel And Jo Pavey The men’s field has Moses Kipsiro, Isiah Koech, Emmanuel Bett and former World XC champ Japheth Korir. 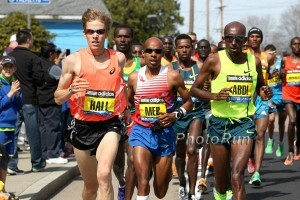 *MB: USATF 10 Mile Champs on Sunday…who you got? St. Paul Mayor Says BLM Protesters Agree Not To Disrupt Twin Cities Marathon The mayor agreed to provide space near the finish line for protesters and protest leader agreed not to interfere with the runners. 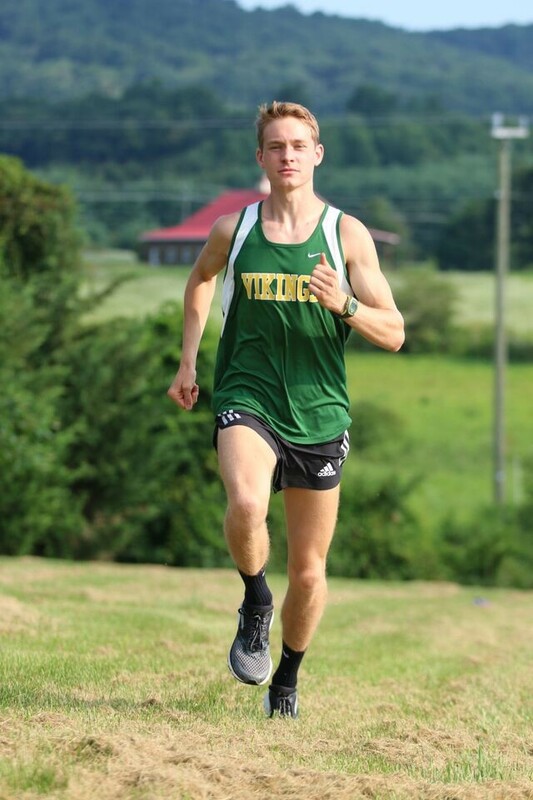 Washington Post: Donnie Cowart Leads Field For Sunday’s Inaugural Navy Mile After Going Sub-4 For The First Time This Summer Cowart first became a runner after getting cut from the basketball and baseball teams as a 5-foot-3, 100 pound middle schooler. 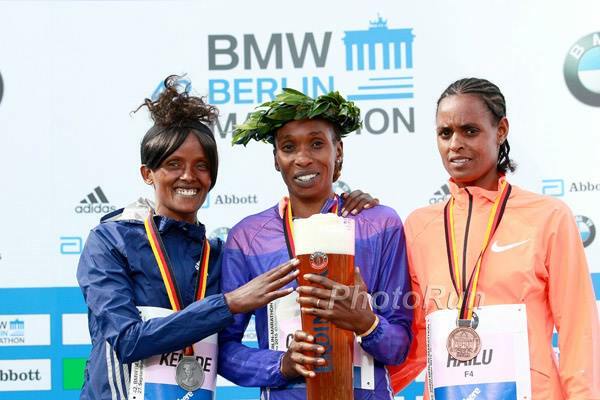 Oct. 25: Meseret Mengistu Leads Strong Ethiopian Quartet For The Frankfurt Marathon The Paris Marathon champ faces Ashete Bekere (2:23:26), Dinknesh Mekash (2:25:09) and Meseret Kitata (2:30:25). Also Germany’s Lisa Hahner (2:30:17). 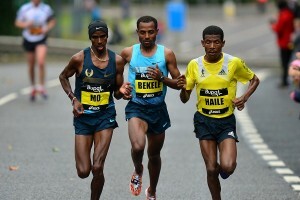 Haile Gebrselassie Will Miss Great Scottish Run Due To Family Illness Gebrselassie’s sister is sick so he won’t be running in what was mean to be his final competitive race. Olympic News: Five New Sports In 2020? Tokyo 2020 Recommends Five New Sports For Olympic Inclusion Baseball and softball, karate, roller sports, sport climbing and surfing were recommended and the IOC will make the final call next year during the Rio 2016 Games. World’s Oldest Living Olympic Champion Gives Budapest 2024 Campaign his Backing 102-year-old Sandor Tarics was a member of Hungary’s gold medal winning water polo team at the 1936 Berlin Olympics. Alan Abrahmson Calls New USATF Revenue Distribution Plan For Athletes “A Monumental Step Forward” Max Siegel, USATF officials, and the Athletes Advisory Committee (AAC) met over the weekend and agreed on a plan that will deliver an additional $9 million to athletes over the next 5 years, seeing them paid for qualifying for and medaling at global championships. Track and Field Athletes’ Union Issues Statement Saying We Need More Info We agree with the TFAA. How much was the Nike deal for? How much of that are athletes getting? USATF Press Release Lays out some of the details of the new four-tier funding system. A non-medaling Tier 1 national champ would get roughly $35,000. 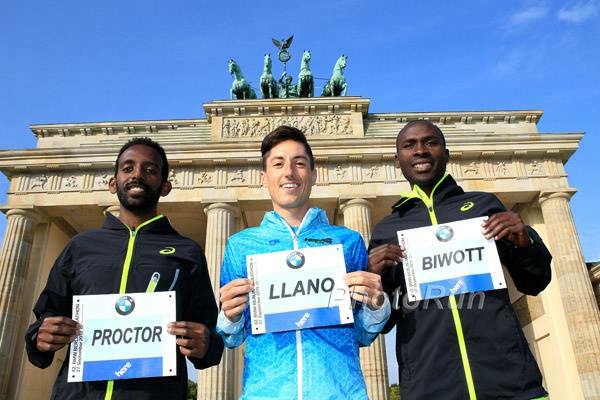 MB: Make a World Champs or Olympic Team – USATF pays you $10K Something we didn’t see yesterday is how big the pie is? 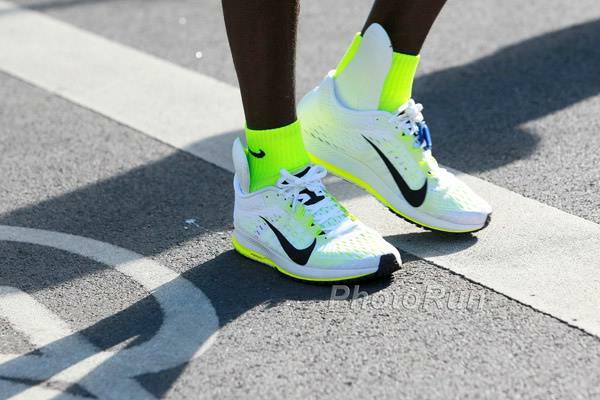 How much extra money per year is USATF receiving from Nike? What % of that are athletes getting? 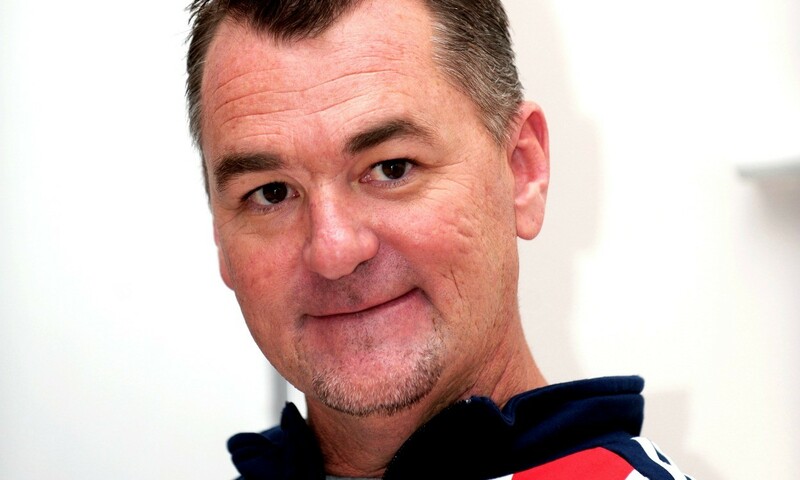 Rana Reider Questions If British Athletes’ Attitudes Hold Them Back From International Success Reider accuses GB athletes of having a “big fish in a small pond” mentality and not being willing to move from where they’re comfortable to where they’ll have a better training environment. Former Sprinter Jason Gardener To Become Next President Of UK Athletics In December Gardener won 4 x 100m relay gold at the 2004 Olympics. Olympic/World Heptathlon Champ Jessica Ennis Says She’ll Retire After 2017 Ennis talks about coming back from pregnancy to win gold in Beijing and how her life has changed since having a baby. 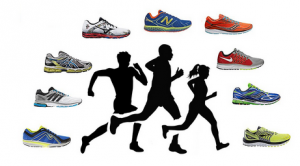 *Men’s Roy Griak 2015 – Why did everybody run so slow? *MB: GRANT FISHER unattached 2nd at stanford invitational! Friday – LRC No. 3 Syracuse Men And No. 8 Providence Women Crush Competition At 2015 Coast-To-Coast Battle In Beantown Stony Brook’s Christina Melian and Syracuse’s Justyn Knight were the individual winners. After the race, Providence coach Ray Treacy reveals that he thinks this year’s squad is better 1-5 than his 2013 title team and Syracuse coach Chris Fox reveals that superstar Justyn Knight only runs 50-60 mpw. 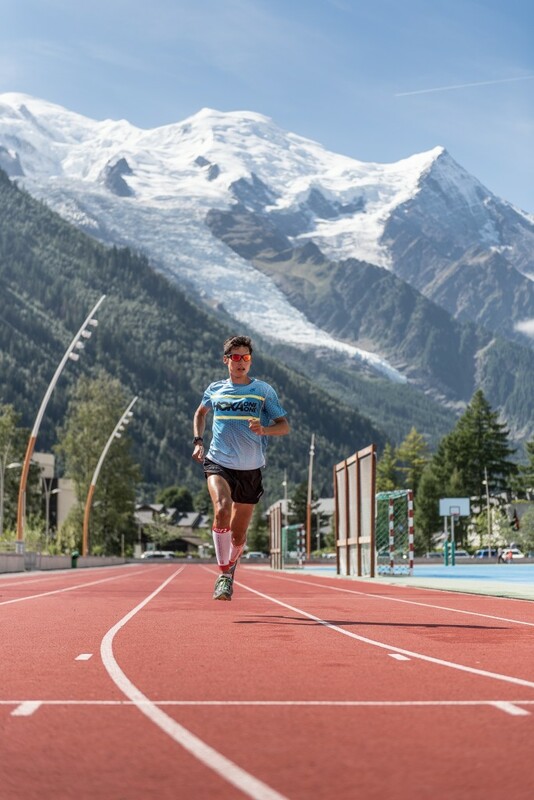 Top Ultramarathoner Sage Canaday Taking Another Stab At The Olympic Trials Marathon Standard This Fall Canaday had close misses in his two attempts to qualify for the OT this spring (2:20:02 in LA and 2:19:12 in Boston). Tokyo 2020 Set To Announce Which Sports Will Be Put Forward For Inclusion In Olympic Program The sports vying for inclusion are bowling, baseball/softball, karate, roller sports, sport climbing, squash, surfing and wushu. Sad: 29-Year-Old Teacher Training For Her First Marathon Killed By Car During Run The truck crossed over from the opposite lane and struck her. Judge Approves Caitlyn Jenner’s Formal Request For Name Change Jenner wanted to officially change her name and gender on her driver’s license and social security card. Man Who Lost 260 Pounds Led 1:40 Pace Group In Half Marathon This Weekend Before dedicating himself to running, Barry Brokaw weighed 420 pounds. Studies Find That While Body Builders’ Muscles Look Bigger, They’re Not Actually As Strong Or Powerful As Real Athletes Like Weightlifters Or Sprinters At a certain point, making a muscle bigger doesn’t lead to big strength gains. 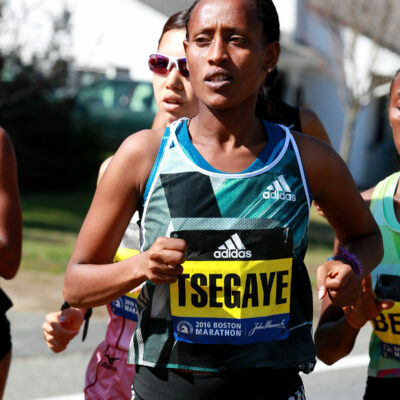 RRW Meb Going For Masters American Half Marathon Record At RNR San Jose Half Marathon This Weekend Aliphine Tuliamuk-Bolton and Adriana Nelson lead the women’s field, while Deena Kastor will go for the American masters record (15:48 by Collen De Reuck) on Saturday. Sanya Richards-Ross Aiming For Gold In Rio Despite A Tough 2015 Season “This may be my last Olympics. 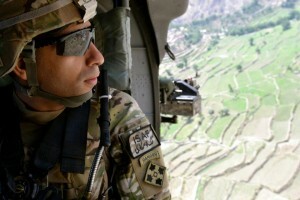 … I’m motivated to leave my sport on top. … It’s a different place to be in. Mid-D Stuff: Who Does Phil Knight Wish He’d Signed To Nike? 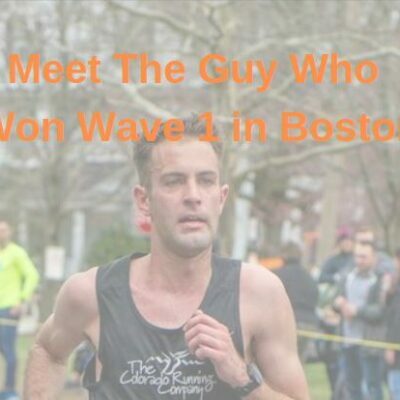 Carrie Tollefson Video Q&A With Benjamin Blankenship He talks about coming back from injury and his stellar 2015 season. 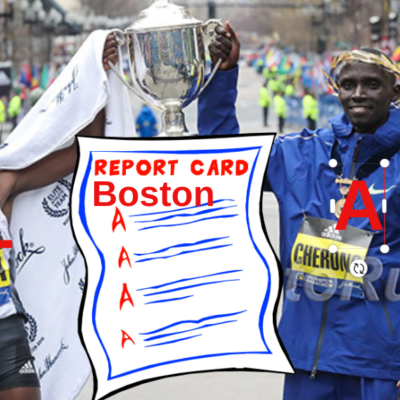 *MB: Rupp certified: Rupp could medal in 2016 as WADA refuses to ban thyroid meds despite lobbying!! More Doping: WADA President Craig Reedie Says “Net Is Closing In On Cheats” Reedie emphasizes all the ways WADA now catches cheats besides failing a drug test. *Lance Armstrong Settles Decade-Long Dispute With Promotions Company Over Tour De France Bonus Payout Armstrong apologized and had to make an undisclosed payment. ZAP Head Coach Pete Rea Talks About How Cameron Bean Basically Went Form Walk-On To Full Pro Runner Bean was initially rejected by ZAP, but took up Rea’s offer to move out there without any support for coaching and ended up going from 9:03 to 8:32 in the steeple. Asafa Powell Signs Endorsement Deal With PUMA He’ll have his own “Sub-10 King” line of sportswear and spikes. Jamaica’s Kerron Stewart Leaves Racers Track Club To Join The Group Coached By Asafa Powell’s Brother In The US Donovan Powell leads the group “Fast Twitch Factory” based in Austin, Texas. UK Euro Indoor 60m Hurdles Silver Medalist Lucy Hatton Turns To Crowdfunding To Help Her Cover Costs To Train For Rio Apparently she already had success with this back in 2013 and is trying to raise up to $12,000. Winds Of Change Sweep Through DI Women’s Poll: New Mexico Stays On Top While Other Teams Skyrocket And Plummet Drastically Colorado moved to 2nd while Providence moved up to 3rd from 8th. Boise State goes from 20th to 7th while Iowa State dropped from 2nd to 6th. With the Coast-to-Coast Battle in Beantown, Roy Griak Invitational and several other meets in the books, we give you four takeaways from the first major weekend of action in NCAA cross-country. *Butler’s Erik Peterson And Stony Brook’s Christina Melian Are NCAA DI Athletes Of The Week Melian won the Battle in Beantown while Peterson won the Virginia Panorama Farms Invy. 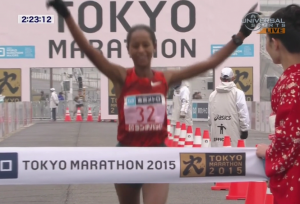 Kenya’s Ernest Ngeno (2:07:57) And Agnes Kiprop (2:25:46) Win Hengshui Lake Marathon Elsewhere, Abraham Cheroben won the Singelloop 10K in the Netherlands in 27:35. 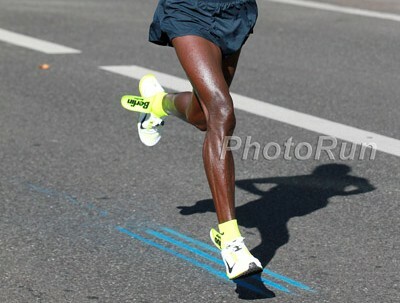 Eliud Kipchoge Was Just The Latest In A Line Of “Shoe SNAFU” Victims (includes videos) There was Jenny Simpson losing a shoe at Worlds, but more amusing than that was the exchange between Haile Gebrselassie and Moses Tanui in the 1993 World Championships 10,000. “How On Earth Does an Elite Marathoner’s Insole Fall Out?” A podiatrist and former Asics consultant said that there would need to be a lot of “heel slippage” and “in-shoe movement” for it to happen. 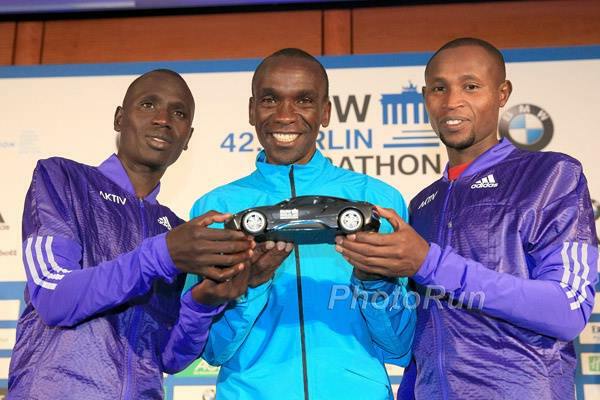 Post-Berlin Podcast With Kipchoge Kipchoge says he’ll race a spring marathon before the Olympics because 11 months is too long to go without a marathon. 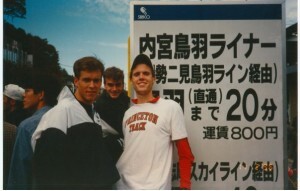 He also talks about being coached by former steeplechase World medalist Patrick Sang. Kipchoge Now Turns His Sights To Rio Olympics It was partially the disappointment of not making the 2012 Games on the track which motivated Kipchoge’s move to the roads. Meb Keflezighi Breaks U.S. Masters Half Marathon Record At Rock ‘N’ Roll San Jose Meb ran 1:03:02 to finish 2 seconds behind Jordan Chipangama as Aliphine Tuliamuk-Bolton won the women’s race (1:11:26). Canadian Jim Finlayson Breaks Beer Mile 40+ World Record With 5:01.24 (includes video) Very impressive for someone over 40 considering the WR is only 4:55. 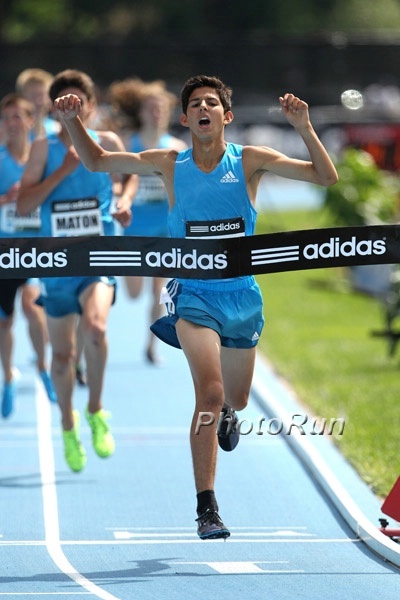 Good Read: Profile On 4:02 Man Drew Hunter, Who Last Spring Became The First High Schooler To Beat Grant Fisher Since His Sophomore Year Hunter is coached by his parents Marc and Joan Hunter, who were Alan Webb‘s coaches his freshman year of high school. The family also has connections to well-known LRCer Tom Schwartz (“Tinman”), whom they get coaching advice from. 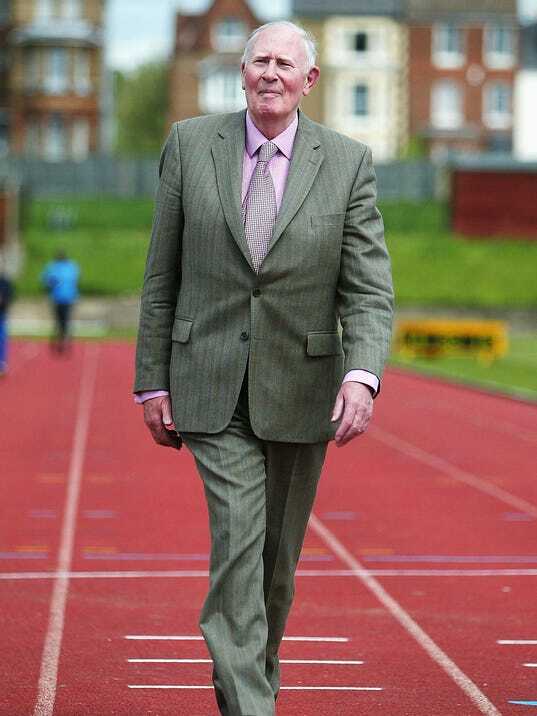 21-Year-Old UK Journalist Competes In Five Track Events To See If He Can Keep Up With Centenarian Don Pellmann Pellmann recently set five age group WRs at the Senior Olympics. You Know Sports Are Competitive When Even 105-Year-Olds Can’t Catch A Break Japan’s Hidekichi Miyazaki recently became the oldest person to “sprint” 100m, but apparently a Polish man, Stanislaw Kowalski, had actually already run a faster time at a slightly older age (by a couple of months). *Seito Yamamoto’s 5.70m Pole Vault Meet Record Tops Final Day Of Corporate Championships Ronald Kwemoi doubled back from his 1,500 win on Day 1 to win his 5,000 heat in 13:38.75, although he was just slower than David Njuguna in heat 2 (13:38.51). Jonny Mellor (29:12) And Lauren Howarth (33:49) Win Great Yorkshire 10K Titles Gemma Steel was supposed to go for her 5th straight win, but was a DNS. USOC Extends CEO Scott Blackmun’s Contract Through 2020 With Option Through 2024 He’ll stay at his current contract, which pays him nearly $980,000. Paris 2024 Leaders Launch Crowdfunding Campaign The campaign included selling $2.25 wristands as they try to raise their $67 million budget. Q&A With The University Of Michigan’s First Female Athlete And Coach (And 2-Time Olympian) Francie Kraker Goodridge Her husband, John, is the coach at Eastern Michigan. 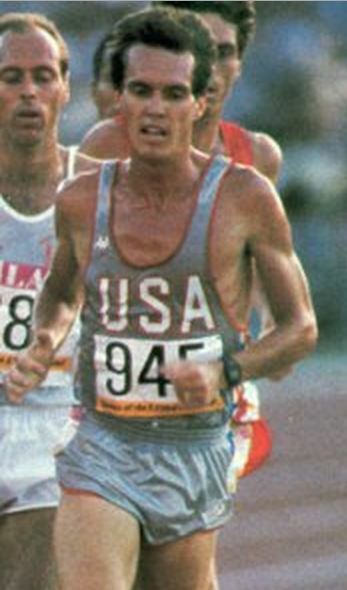 Former 2:10:59 Marathoner Sean Wade Is Training For Sub-4:20 Mile At Age 50 He’s 49 now and recently ran 4:25.